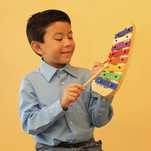 One of the best ways to begin a musical adventure is with an eight-note Upado Unlimited Glockenspiel Xylophone. Similar to a piano except that the notes are struck with a wooden mallet, the instrument produces a pleasant bell-like tone. It is fun, easy to learn, and new musicians can get immediate results for their efforts. 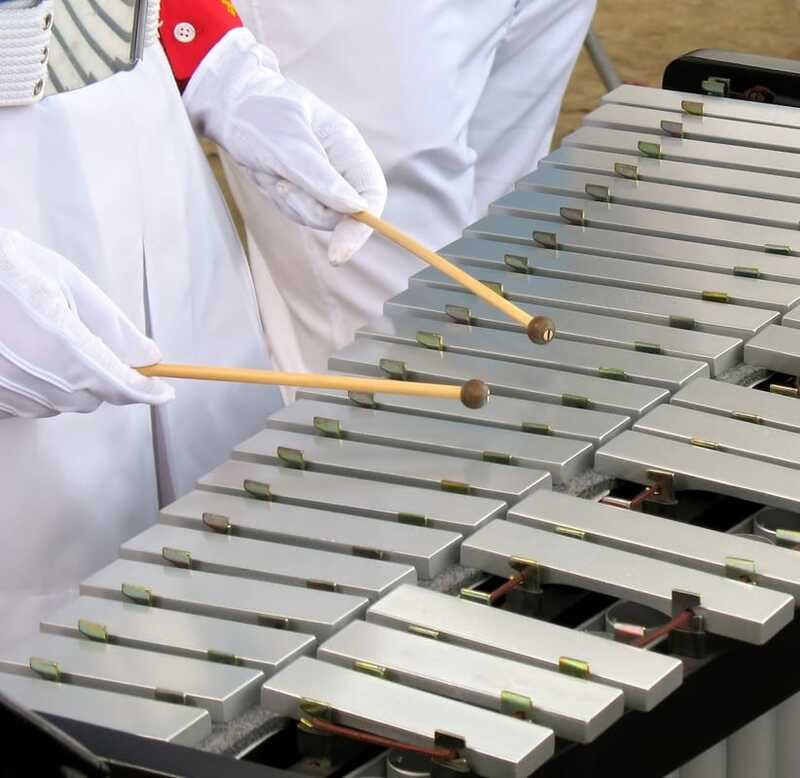 The traditional style Glockenspiel Xylophone can be placed on a table or on the floor in front of you if you are sitting on the ground, and it is played like an orchestra glockenspiel. The longer the metal key, the lower the note will sound. Place the longest and lowest blue “C” note on your left. ​You can hold it up in the air like a Marching Band Glockenspiel or rest in on your lap. It can also be placed on a table as well. ​Hold the mallet with your dominant hand – unless you are using two mallets. The circular ball on the end is used to strike the metal keys. The end without the ball should rest near the center of your lower palm. Hold the stick a little further up between your thumb and index finger. The mallet should rest on the middle side of your index finger with the large surface of your thumb providing counter pressure on the top. Do not squeeze the mallet too tightly because this adds unnecessary tension and may keep the note from ringing clearly. Hit the keys gently and quickly in the center of the metal key so that the mallet ball quickly bounces away from the key. This will produce the best ringing sound. If you hit the key to hard, the note will not sound crisp, and it will not ring. Think of the mallet bouncing on and off the key to get the best results. Good posture can help too, giving your arm the room it needs to move freely. The Upado Unlimited Glockenspiel Xylophone is a precision tuned percussion instrument like a piano, and you can start by playing a scale. Each metal key is engraved with the letter of the note, so you can read the letters and play along. Play the “C” scale on the instrument by starting on the largest blue “C” note, and then play the “D”, “E”, “F”, “G”, “A”, “B”, and “C.” You just played the “C” scale! It is important to learn to keep a steady beat. Using a metronome can help, and there are free options online. Click here to try one out. Now go back to your “C” scale and play it along with the metronome. You can change the speed of the beats on the metronome too. Now you are ready to open the Xylophone Music Book that came with your instrument. The folk songs and classic songs in the book were chosen from the music program created by Dr. Suzuki who selected them because of their patterning ease for new students. The crew at Upado Unlimited created the Music Patterns for the songs so that the ability to read music is not needed, and everyone can play. 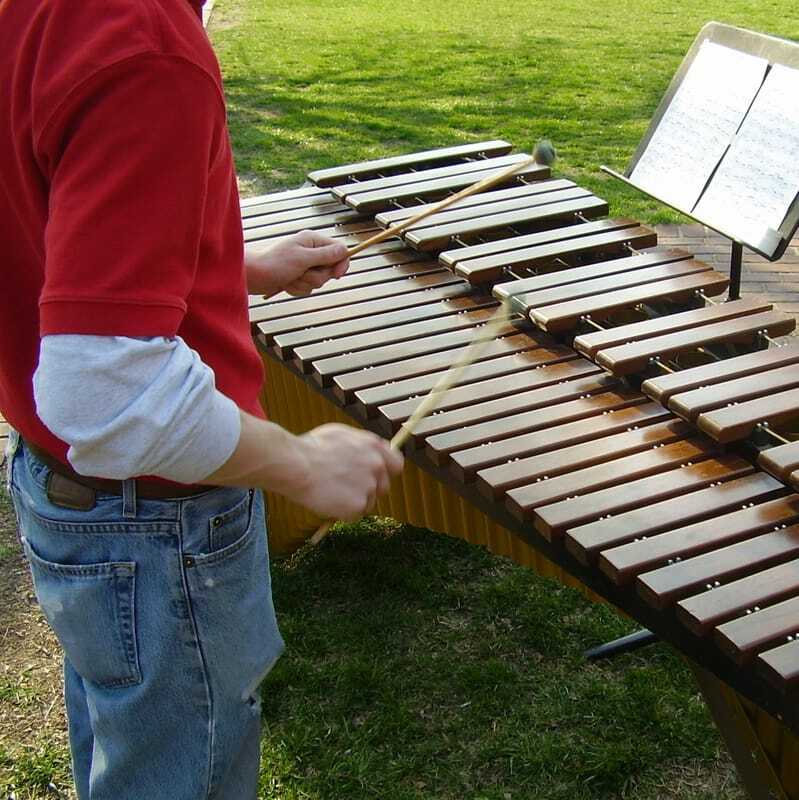 On the Upado Unlimited website, you can listen to the songs being played which allows auditory students to learn in the way that suits them the best while visual students can focus on the Music Patterns in the Xylophone Music Book. When you are ready to move on to more complicated harmonies and rounds, you can try the songs in the Popular 8 Note Songs Music Book. We are here to help, so contact us if you have any questions at info@UpadoUnlimited.com! Many Glockenspiel Xylophone musicians store their instrument and mallets in the sturdy box that they come in. For those who would like a DIY way to keep track of the mallets, here’s an idea that uses a few rubber bands and a bag. We used a plastic bag, but a cloth pencil case works well too!